Dylan Tomine is a man on a mission. He’s looking for the juiciest blackberries, the choicest mushrooms, the fishiest waters, the driest firewood — and he’s bringing his kids with him. 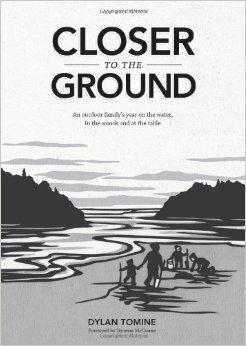 The second edition of his book, Closer to the Ground, was released in September and shares stories of his family’s experiences in nature. When did your interest in fishing and foraging start? I was pretty much born obsessed with fish and fishing. All my earliest memories — and most of the subsequent ones as well — revolve around fish. I’m almost as obsessed with food, particularly the flavors of wild food. So the progression from fish-maniac kid to foraging adult was pretty natural. How did you learn the necessary skills? 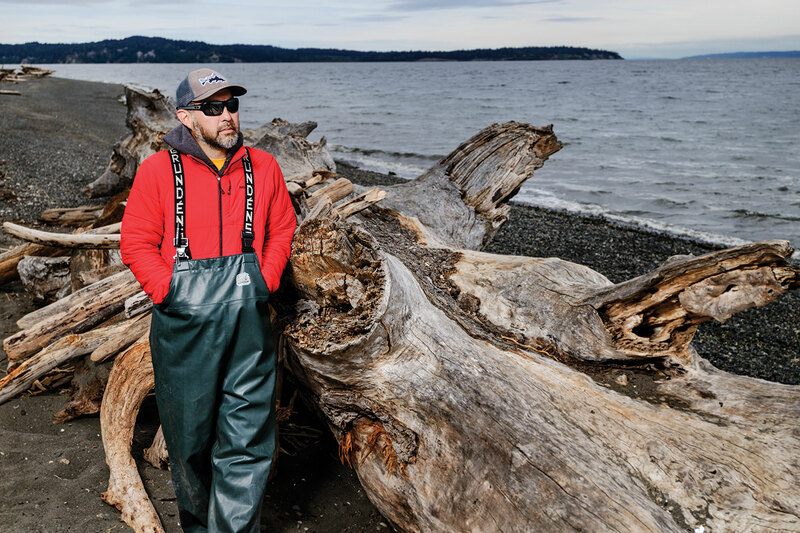 I learned to fish starting with my dad when I was very young, and ever since, I’ve had a succession of invaluable mentors in all of these outdoor pursuits. In fact, one of the great benefits of fishing, foraging, hunting and gardening is the friendships that grow out of the process. That’s a long way of saying that I think if you really want to learn how to do anything in the outdoors and you let people know, someone will step up and help. What are your biggest challenges in fishing and foraging with your children (Skyla, 12, and Weston, 9)? Early on, when the kids were small, the biggest challenge was maintaining my own patience. For a type-A, goal-oriented person like me, dealing with all the little issues that crop up when involving kids in your pursuits can be, at times, pretty frustrating. The beauty of it, though, is that kids force you to slow down and notice the things a hurried adult often misses — just the fun of sitting on a log in the woods eating a sandwich or the color of salmonberry flowers or throwing maple seeds in the air and watching them twirl down. Kids really renew our sense of wonder and teach us lessons about what’s important. Now, as the kids have grown older, the challenges are more logistical. It’s tougher to find time amid the tighter schedules of school, sports and other activities. We can’t just drop everything to take advantage of a good clam tide or perfect conditions for chanterelle picking. But we do our best to pick our spots and make it work. What benefits have you noticed from being outside so much with your kids? For me, it’s really about time spent with the kids doing something fun and the memories we make. For the kids, I think there is a confidence that comes from learning the skills to be comfortable doing outdoor activities. There’s also the fact that these activities — fishing, foraging — help humans tune into the rhythms of nature, whether it’s the significance of weather or season, or other clues you need to be aware of if you’re going to be successful. The other benefit, of course, is the food itself. The flavors of fresh wild food can’t be beat, especially when you’ve been part of the process from start to finish. In a larger sense, the experience of gathering, preparing and sitting down to shared meals is an essential part of human culture and something we really savor in our family. What inspired Closer to the Ground? Truth is, I wrote the book because I’m a lousy camcorder guy. I would look at other people’s home movies and feel jealous that we didn’t have any. I realized, if I wanted to record what the kids were like, what we were doing when they were at a certain age, I had to fall back on a much older technology. For me, that’s words. So the book is really just a verbal home movie that covers the four seasons of a single year. What do you recommend for families that want to provide more of their own food? Where do they start? I think it can be as simple as growing carrots or tomatoes in pots on the porch. Kids love the whole concept. The ‘pride of ownership’ at harvest time is similar whether you’re farming 5 acres or five pots. If you don’t have a yard and want to grow more vegetables, research P-Patches in your area. For fishing and foraging, there are lots of opportunities in and around urban areas. Most bodies of water in North America, even the ones in cities, have some kind of recreational fishery available. If you’re on the coast, shellfish-gathering information is readily available from most state Department of Fish and Wildlife websites, while regional mycological society chapters often lead guided mushroom-picking hikes. The main thing is to remember that you don’t have to be an expert to teach your kids these things. You can learn together, and that’s often even more fun than just showing the kids what you already know.